When Rima Das’ Village Rockstar and Indian actor Adil Hussain starrer Norwegian film What People Say didn’t make it to the shortlist, everyone thought that this time too, India had lost its chance for an Oscar. 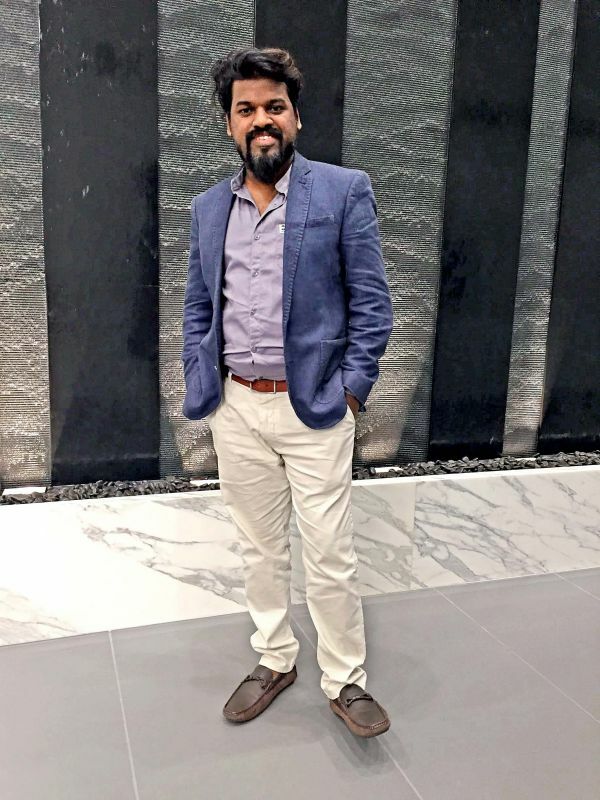 But as the year draws to an end, 32-year-old Milroy Goes, writer and director of multilingual feature film Welcome M1LL10NS received the welcome news that his film has made it to the shortlist in the general category of Oscar 2019, keeping India’s hope alive of bringing the prestigious award home. The film, selected in General Category, had a week long screenings in Los Angeles at the end of November. “It wasn’t made to send for the Oscar, but it so happened. We waited for their response, and when we finally received their confirmation it’s kind of encouraging,” says the director. Inspired by true events, the story of the film follows Alfred D’Souza, living in Cuncolim, a small town in Goa. His life turns into a nightmare when he buys a lottery ticket and finds himself caught up in a vicious lottery fraud. While the Indian cyber crime department thinks of closing the case, Kuski Braganza, a French woman, played by US-based actress Kathryn Michelle, takes the case in a new direction. The inspiration of the film was drawn from the idea of what happens after someone gives away sensitive details such as ID and account information to fraudsters. “I have been conned by one producer from abroad and I know how it feels, I almost lost trust in everyone approaching me for film and scripts,” reveals the director. He also confesses that it took him a long time to trust the film’s producer Manpreet Singh (popularly known as Manna Mohie) of the UK-based Manna Mohie Films Production Company. “But I apologised later and realised not everyone is fake,” he smiles. Milroy’s Welcome M1LL10NS began to take shape in 2014 and took two years to finally reach the post-production stage. “I was given one year’s time to write the script because it needed a lot of research, so it took me little longer,” he explains. When asked what makes the film gun for an Oscar nomination, he feels that modern cinema made with less commercial aspects are most of the times, the contenders for the prestigious award. “I think strong content and treatment of the story which is accepted globally, work for the Oscar,” he says. Apart from a numerically aligned name, the other thing that makes this film special is that it traverses from the narrow lanes of Goa to the bylanes of Punjab, the UK and the sprawling city of Los Angeles. “As we moved to different continents, we changed the language, and that’s what makes this film globally relevant,” explains the director. In addition to the cyber crime department of the country, the film features other key characters including a corrupt police officer —played by Sohan Borcar, a taxi driver- — essayed by late Razak Khan and Manpreet Singh as a Punjabi billionaire. Back home, not many know about the film’s existence, as it hasn’t got much recognition “We made this independently and it requires a lot of marketing to reach the audience. Since it wasn’t given a thought along those lines, we haven’t put any efforts,” rues the independent filmmaker adding that now he and his team are working to promote it on social media to attract audiences. “We are at the crawling stage as far as the marketing of the film is concerned and we need a lot of support from India,” he adds. Apart from a bit of Khaddyan Padlo — a Goan parody, the film has no songs. National award winning playback singer Shashaa Tirupati has sung the last track for end credits. Mikkel Lentz from Denmark and Kishan Mohan from Kochi have composed the background scores, and the title theme score is given by the rock band Michael Learns to Rock. Meanwhile, Milroy is independently working on his next multilingual project based on a true story and has no high ambitions of taking up a Bollywood project until it is content driven. “I like working on true stories because I connect with them and people also like them. I like to stick to one genre and Bollywood is kind of mix of musical, action and comedy,” says the director. So far while Mother India, Salaam Bombay, and Lagaan made it through to the finals of Oscar nominations in the foreign language category, no film from India has qualified in the General category. It remains to be seen if Welcome M1LL10NS can break the jinx with an Oscar nomination or a win.